Allen was first diagnosed with bladder cancer in 2010, aged 49, having never smoked or worked with industrial chemicals. He was lucky in that it hadn't gone too far and he was successfully treated. But bladder cancer can come back and it returned after 9 months. Allen is still under surveillance. This was a real wake up call. Allen decided to get involved with Action Bladder Cancer UK and also sold his business shortly after. Although he had trained as a rocket scientist, Allen had set up and been running a successful management consultancy business for nearly 20 years. It is these skills and a passion to improve bladder cancer diagnosis and treatment that he brings to ABCUK. Allen is also a patient representative on a number of bladder cancer clinical trials and a board member for the National Institute for Health Research, reviewing which research applications should be funded. In his spare time Allen loves to fly light aircraft, walk and travel. 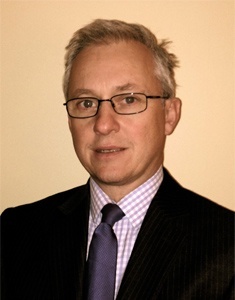 Qualified from Cambridge University in 1989 (MA, MB, BChir) Jeremy undertook his surgical and urological training in London, Oxford & Reading achieving his FRCS in 1993 and his FRCS (Urol) in 1999. During his training he undertook a period in full time research with a Royal College of Surgeons Fellowship at Oxford University 1995-1997. His MD thesis (‘Vascular Endothelial Growth Factor in Bladder Cancer') was awarded the Sir Walter Langdon Browne Prize (Cambridge University) 1998 and the European Association of Urology thesis Award 1999. He continues to have an active role in research locally in Oxford and nationally. Appointed as Consultant Urologist and Honorary Senior Lecturer in Oxford University Foundation Hospitals Trust in 2001 and remains in this post to date. Within the Trust he has led and developed the bladder cancer service from both clinical and managerial perspectives. Jeremy's clinical experience has been supplemented by Bladder Cancer Fellowships at: the Memorial Sloan-Kettering Cancer Center, New York; the Urology Department, Berne, Switzerland; and the Urology Department, Mansoura, Egypt. Roger qualified in 1983 from Birmingham University - MB ChB. He trained in general surgery then urology in the East Midlands and Norfolk. FRCS1987. Research fellow in Urology, University of Nottingham 1990. DM thesis "Monoclonal antibodies to bladder cancer" in 1994. He was appointed as a Lecturer at the University of Melbourne in renal transplantation and urology - 1991 - 1992. Higher urological training Norwich and Leicester. FRCS(Urol) 1995. He has been a Consultant Urologist and lead clinician in Uro-Oncology in Leicester General Hospital since 1996. Honorary Professor of Urology (Cancer Studies ) University of Leicester since 2017. His outside interests include skiing, hill walking and cycling. 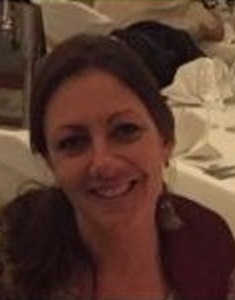 During her career Paula has held a variety of nursing posts including a senior nursing post at Central London Teaching Hospital and was chosen to be Nursing Chair for NE London Urological Cancer Network. Having completed a fast track executive MBA in Health Care, attaining a distinction, this led Paula's career change into management to fulfil her particular interest in innovation and service improvement. She has been involved in several change management projects; the most recent being implementing ‘A New Survivorship Pathway' for cancer patients in one of the largest and busiest tertiary urology departments in the UK. This has proven to be very successful for both patients and primary/secondary care by providing patients with a more seamless and efficient cancer pathway and overall improvement to patient experience and outcome. Paula has also run education events for GPs on survivorship - looking at how best to work in collaboration with primary care to discharge patients safely by embedding their recovery support into their wider treatment package. Paula founded NaBC (Nurses Against Bladder Cancer) as she wanted to provide nurses with a platform to share their experiences and best practice, and has instigated and organised a yearly teaching and networking event for nurses across the UK. She has won several awards for her work on Understanding the Barriers to Presentation and Treatment of Bladder Cancer, and was also the lead nurse on a community-based health clinic for which the team won national awards from the Civil Service Diversity and Equality Awards 2013 and Quality in Care Programme. She currently sits on an international nursing board (EAUN) as a UK representative, in order to standardise current practice and care for patients across Europe. Rik qualified in Medicine at the University of Birmingham and subsequently entered surgical training. 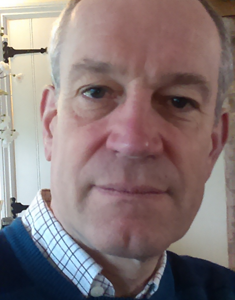 After completing a PhDin bladder cancer biology he became a Specialist Registrar in Urology. After 4 years as a Specialist Registrar, Rik left clinical urology to assist with the set-up of the Bladder Cancer Prognosis Programme (BCPP) at the University of Birmingham, and was subsequently appointed as a Senior Research Fellow in the School of Cancer Sciences. 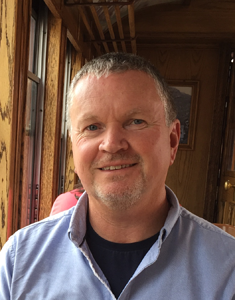 Rik is now the Chief Investigator of BCPP which incorporates the SELENIB clinical trial, and is also a member of the Trial Management Group for the POUT trial with responsibility for bio specimen collection and translational research. Rik sits on the Council of The Royal Society of Medicine Section of Urology, and has been elected as Section Secretary for the2015-16 session. He has an interest in all aspects of bladder cancer, from optical technologies and endoscopic surgical techniques to biomarker discovery and molecular pathways. His particular interests are narrow band imaging cystoscopy, urinary biomarkers, and genomics, and he has a track record of publication in these specific areas. Peter trained at University College and University College Hospital (MB BS 1970) and has been a leading consultant at Guy's and St Thomas Hospital, London for over 25 years. He is both an accredited physician and a medical oncologist. One of the four founder partners of the London Oncology Clinic, Peter's vision was of a clinic dedicated solely to cancer treatment offering the highest international standards of care in a state-of-the-art supportive environment, also providing the support including all the ancillary care required by patients and their families. Author of more than 400 papers and chapters in peer reviewed publications, he is acknowledged globally for his work in researching new drugs and developing improved forms of cancer treatment. 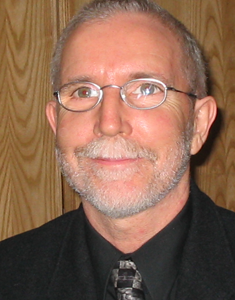 Peter has been the chair, or a member of, many international executive committees investigating new approaches to cancer treatment, editorial boards for professional publications and is currently a member of eight pharmaceutical company advisory boards and a member of sixteen professional bodies from around the world, including board membership of a committee of the American Society of Clinical Oncologists (ASCO). In 2002 Peter was awarded the prestigious Cino del Duca Medal in 2004 in recognition of his work in developing new anti-cancer and vaccine therapies. 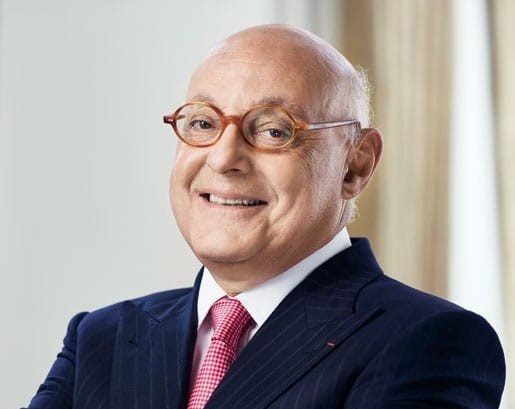 For his role in advising the French Government in strategic cancer care (Board Member French National Cancer Institute) he was appointed a Chevalier of the Legion D'Honneur, a rare distinction for a foreign national. He remains on the board of INCA, the strategic committee for cancer treatment in France, and is currently the Chairman of the Toulouse Cancer Centre and holds the Medaille D'Or of that city. Phil retired from a career in Children's Social Services when he received his confirmed Grade 3 NMIBC diagnosis in August 2010. He was originally treated via the local District Hospital Urology Service but (post TURBT and failed BCG treatment) opted to pursue a second opinion and transferred to another Trust - and a Specialist Urology Service. Very soon thereafter, at the first cystoscopic check, a recurrence and confirmed CIS quickly led to radical surgery and a cystectomy in December 2011. Consumer	Rep (Lay Member) on the National Cancer Intelligence Network Urology Site	Specific Clinical Reference Group. At 65, I am about to retire from part-time research and lecturing at University College London. I specialise in the management of projects in the construction sector and my research experience includes two research projects concerning the planning and design of hospital buildings. However, I never expected to become a participant observer of the hospital built environment until I was diagnosed with HRNMI bladder cancer in June 2015 and became a patient at St James's Hospital, in Leeds, where I live with my wife Karen. At the time of my diagnosis and first surgery, I became aware of the problems around the shortage of BCG, which was the recommended treatment for me. St James's have been consistently committed to offering complete courses of BCG to patients, where appropriate, and I have benefitted from this. But the unfairness and arbitrary nature of the post-code lottery for BCG therapy made me concerned to try and do something about making this problem more visible. Around this time, Phil Kelly from ABC UK very kindly got in touch with me and his support and friendship has been most valuable personally. I realised the importance of such contact with other patients to share the experience of living with bladder cancer. There was no bladder cancer patient support group in Leeds, despite the fact that over 900 bladder cancer patients receive treatment every year in St James's and I have been involved, with ABC UK, in setting up a new group. I have also become a member of the BRAVO Trial patient advisory group, which is being led from Leeds University. I was born in Lincolnshire and grew up in and around Birmingham. I went to grammar school in Aston (still an Aston Villa supporter) and won a place at St John's College, Cambridge, where I studied social and political science. After leaving university, I moved to London where I spent the next twenty years in local government working in housing development in urban renewal areas and eventually moved into managing a design and build organisation within Haringey Council's direct labour organisation. In the early 1990's, I took a year out of work to complete a PhD at the Bartlett School, University College London, and then moved into academic work, first at London South Bank University and then at UCL. 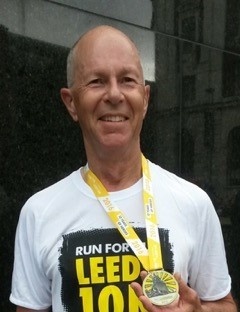 I moved from full-time into part-time work in 2005 after deciding to move to Leeds from London. I like developing projects, enjoy working in teams and my working life has been varied and interesting. Amongst other interests outside work, I am a singer with Leeds Philharmonic Chorus. 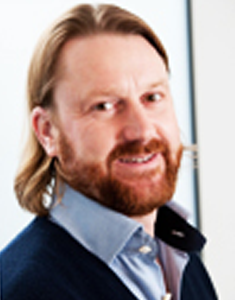 Jon trained in Urology in Taunton and became a Member of the Royal College of Surgeons in1999. He then spent 3 years completing research into the impact of prostate cancer on the quality of life of men and their partners, and was awarded his MD thesis in 2003. 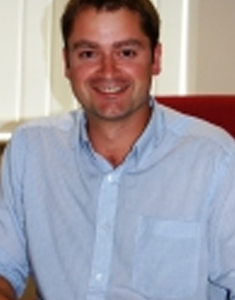 In 2004 he switched to General Practice and is now a partner at Backwell & Nailsea Medical Group in North Somerset. He continues to work in Urology, providing a primary care diagnostic urology service to 3 CCG's, including a community based LUTS, Haematuria and raised PSA one-stop service. He was a member of the Guideline Development Group for the NICE 'Lower Urinary Tract Symptoms in men' Clinical Guideline, published in 2010 and an Expert Advisor to the NICE Quality Standard for Prostate Cancer in 2015. He is deputy editor of ‘Trends in Urology and Men's Health' (http://www.trendsinurology.com/) and involved extensively in educating his fellow GP's about Urology, particularly through the Prostate Cancer UK Masterclasses. He is currently chair of the educational advisory group for Prostate Cancer UK, chair of the Prostatitis Expert Reference Group at Prostate Cancer UK and a member of the Clinical Advisory Board for Tackle Prostate Cancer (formerly known as the Prostate Cancer Support Federation). He has recently authored a clinical review for the British Medical Journal on the management of LUTS in men, as well as a number of other urological publications. In June 2015 he became a trustee of Action Bladder Cancer UK. In his ‘spare time', he is an active trustee of the Health Improvement Project Zanzibar (http://www.hipz.org.uk/) - a small UK based charity which runs 2 district hospitals on the island of Zanzibar, providing essential healthcare for over 250,000 people.